A Baylor University football player is facing disciplinary action after a graphic video emerged showing him beating and kicking a yelping dog. A fellow player videoed the assault and put it on social media. 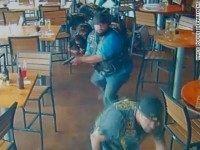 Lawyers for three of the bikers at the Twin Peaks restaurant in Waco, Texas, filed legal documents to have the district attorney recused from their criminal cases. On Monday, a hearing on their motions put the McClennan County District Attorney on the hotseat. D.A. Abel Reyna, the police chief, and other law enforcement officials, were all placed on the stand to testify during the hearing. The ninety minute video from a surveillance camera at Don Carlos Mexican restaurant reveals little, if any, new information about the police shootout at the neighboring Twin Peaks restaurant. That incident left nine people dead in May. 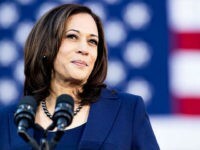 The video was released by a Dallas law firm on Friday evening. Serious constitutional and civil rights questions have been raised regarding the blanket fill-in-the-blank arrests of 170 bikers in the wake of the Waco Twin Peaks shooting and the subsequent excessive bail that was set. Breitbart Texas investigative reporter Lee Stranahan and KTSA radio talkshow host Trey Ware recently discussed some of these issues on Ware’s morning show. The Twin Peaks Corporation, located in Dallas, and the Don Carlos restaurant next door, have filed a lawsuit against the Waco restaurant. A biker has sued for civil rights violations because of his arrest. A Twin Peaks biker refused to show up for a motorcycle safety proclamation at a Waco City Council meeting. He took issue with Waco PD’s characterization of the bikers as criminals and said it was Waco PD, not the bikers, who put others in harm’s way. 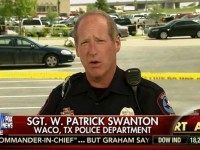 Waco Police Sergeant Patrick Swanton blasted CNN for putting information out as fact that is not yet proven. The news network posted a statement in an article earlier this week where they asserted as fact that four of the nine people killed in Sunday’s shooting at Twin Peaks were killed by police officers. Waco Police Department’s Sergeant Patrick Swanton said “This was Anytown, USA,” in response to a question from media about why this happened in this city. He said there is a violent element out there and this type of violence could erupt anywhere, especially if a business ignores requests from police. Swanton revised the number of individuals downward to 170 from the previously reported 192 during his Monday midday press conference. 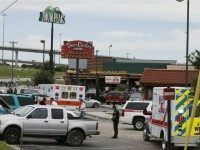 The Waco Police Department announced the arrest of 192 people in connection with the shooting at the Twin Peaks restaurant that occurred around noon on Sunday. In a separate action, the Texas Alcoholic Beverage Commission (TABC) announced they have issued a 7-day summary suspension closing the diner for community safety reasons.